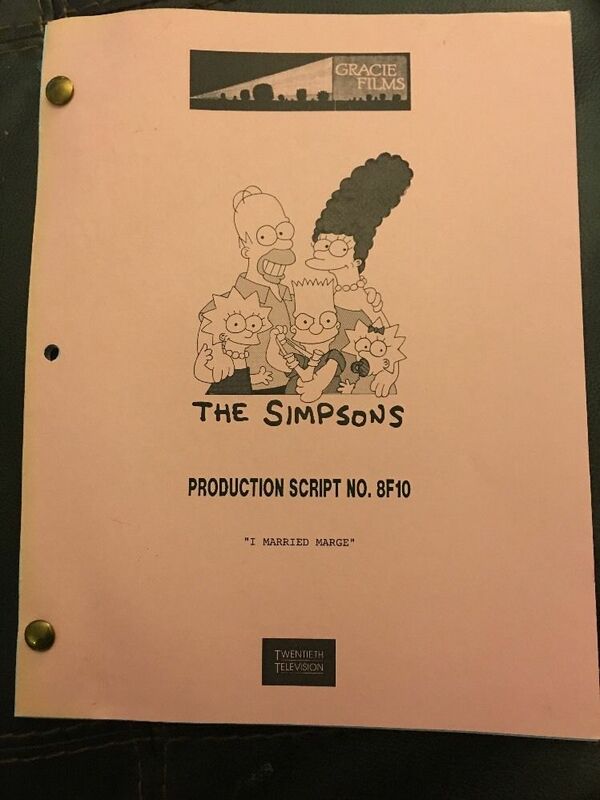 The third season originally aired from September 19, 1991 with "Stark Raving Dad" to August 27, 1992 with "Brother, Can You Spare Two Dimes?". Al Jean and Mike Reiss were the show runners of throughout most of the season and the following season. Season 3 won one Emmy award and received one other nomination. Six voice actors shared the Emmy for "Outstanding Voice-Over Performance," and the show was nominated for "Outstanding Animated Program" for "Radio Bart." Season 3 is also noteworthy for the guest voice appearance of Michael Jackson (credited at the time as "John Jay Smith") in "Stark Raving Dad." Jackson voiced his character's speaking parts while sound-a-like Kipp Lennon performed all of the singing. Jackson also wrote the song "Happy Birthday, Lisa". 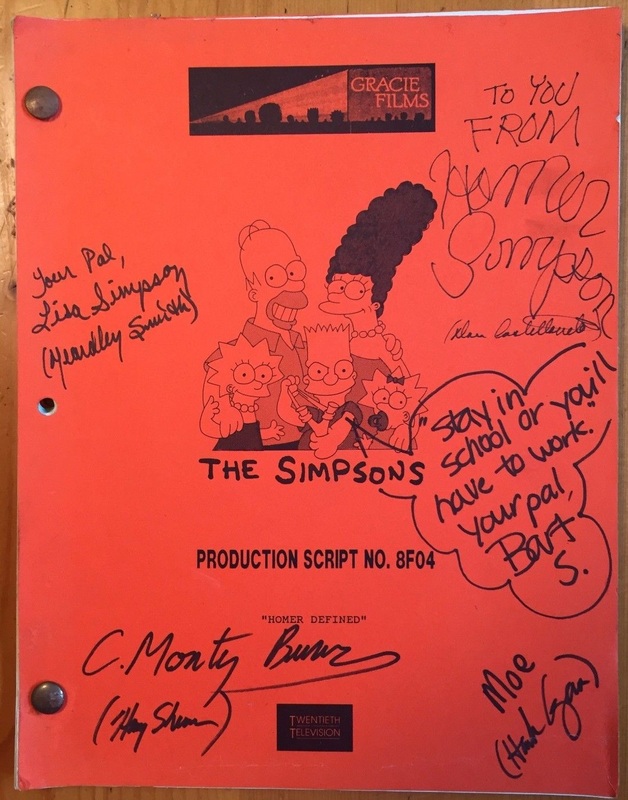 After the episode was produced, the show instituted a policy that celebrities wishing to guest-star on the show had to be willing to be credited under their real names rather than using pseudonyms. All 24 episodes of Season 3 were released as a DVD boxset on August 26, 2003 in Region 1, October 6, 2003 in Region 2, and October 22, 2003 in Region 4. 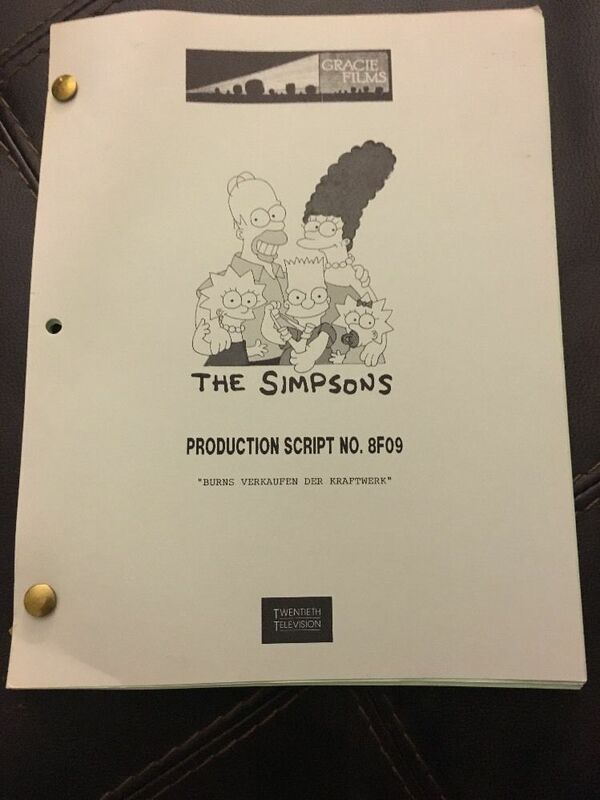 Al Jean and Mike Reiss became showrunners of the third season and the the following season after having written previous episodes of The Simpsons and felt pressure when executive managing the show. 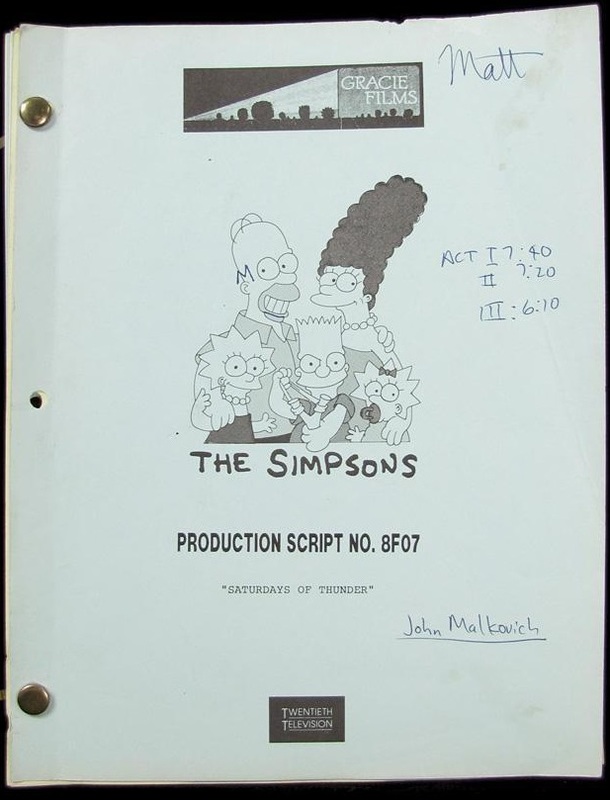 The pair also executive produced four episodes that were broadcast during Season 8 and 9 under a 3Gxx production code when The Simpsons at this period had Bill Oakley & Josh Weinstein and mostly Mike Scully as showrunners respectively. Jean has remained showrunner of the show since Season 13, this time without Reiss. Carlos Baeza and Jeffrey Lynch received their first directing credits in this season. Assistant director and layout artist, Alan Smart, would receive his only directing credit. Robert Cohen, Howard Gewirtz, Ken Levine and David Isaacs were one-time writers in the third season. Bill Oakley and Josh Weinstein, who would later become executive producers, became a part of the writing staff to replace Jay Kogen and Wallace Wolodarsky both of whom had proposed to leave at the next season although they did not until the following season after. The final and current arrangement of the Opening Sequence was introduced during this season. Season 3 was also noteworthy for the guest voice appearance of Michael Jackson, under a pseudonym of "John Jay Smith", in the season premiere "Stark Raving Dad". 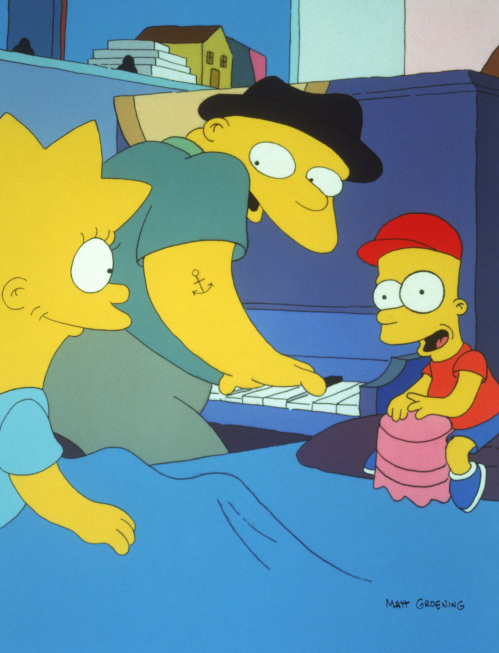 Jackson voiced the speaking parts of his character, Leon Kompowski, while sound-a-like Kipp Lennon performed all of the singing despite that he wrote the episode's song, "Happy Birthday, Lisa". Following his guest appearance, the show instituted a policy that celebrities wishing to guest-star on the show had to be willing to be credited under their real names rather than using pseudonyms. This was also Jackson's only appearance on television (d. 2009). On January 30, 1992, a rerun of "Stark Raving Dad" featured a brief alternate opening, which was written in response to a comment made by then-President of the United States George H. W. Bush, who made a speech during his re-election campaign where he said, "We are going to keep on trying to strengthen the American family, to make American families a lot more like The Waltons and a lot less like The Simpsons." 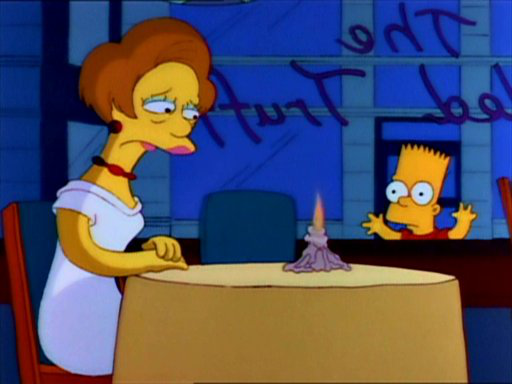 The writers wanted to respond to this speech by inserting a tongue-in-cheek opening using a recycled clip of the previous season's "Simpson and Delilah" where the Simpsons watch Bush's speech on their television and Bart replies "Hey, we're just like the Waltons. We're praying for an end to the Depression, too". 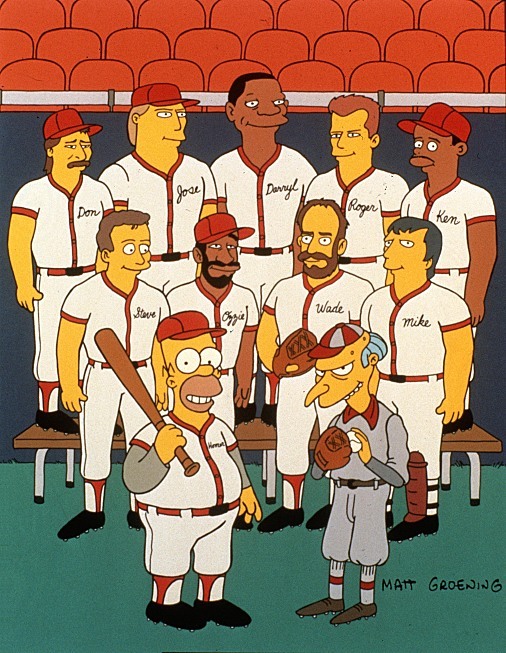 "Homer at the Bat" featured a large supporting cast of guest stars. This was suggested by Sam Simon, who wanted an episode filled with real Major League Baseball players. Nine players agreed to guest-star in the episode, and their lines were recorded over a period of six months. Several new characters were introduced this season, including Lunchlady Dora, Fat Tony, Legs and Louie, Hyman Krustofsky, Lurleen Lumpkin and Kirk and Luann Van Houten. Through a series of misunderstandings, Homer is put into a mental hospital and his roommate is a man who talks and sings like Michael Jackson. Everything is cleared up and Homer is released. However, in all the confusion, everyone has forgotten about Lisa's birthday—including Bart, who didn't even remember to buy a present. To make it up to her, Bart and Michael write and perform a song for Lisa. She enjoys the song and says it's the best present she ever got. Guest Starring: Michael Jackson and Kipp Lennon (collective credit as John Jay Smith). Lisa wins the local competition of an essay contest, earning the family a trip to Washington, D.C. for the finals. Lisa sees Bob Arnold (her own representative) taking a bribe. Disgusted, she changes her previous uplifting essay into a cynical one denouncing corruption in government in general and Bob Arnold in particular. Her faith in the system is restored when Arnold is arrested and expelled from Congress. 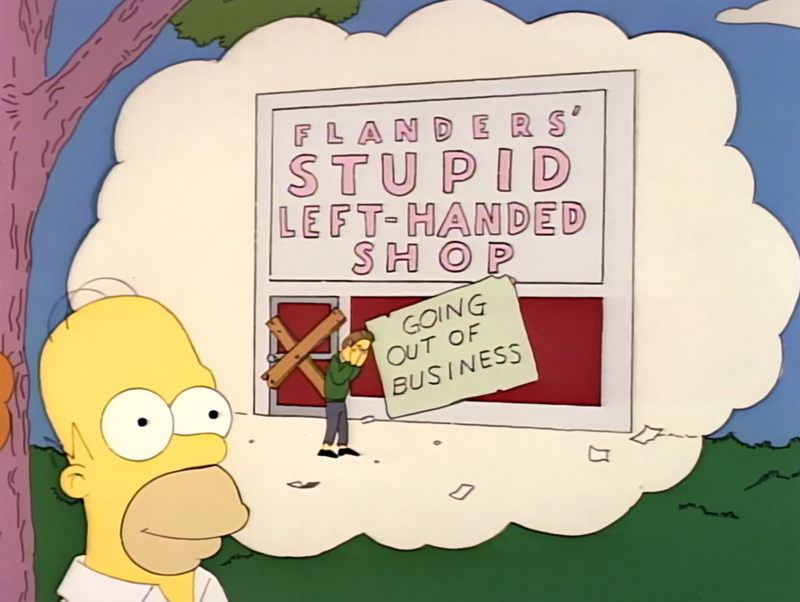 Ned Flanders opens the Leftorium, a store specializing in merchandise for left-handed people. Homer thinks it's a stupid idea and secretly wishes for the store to fail and Ned to be humiliated. 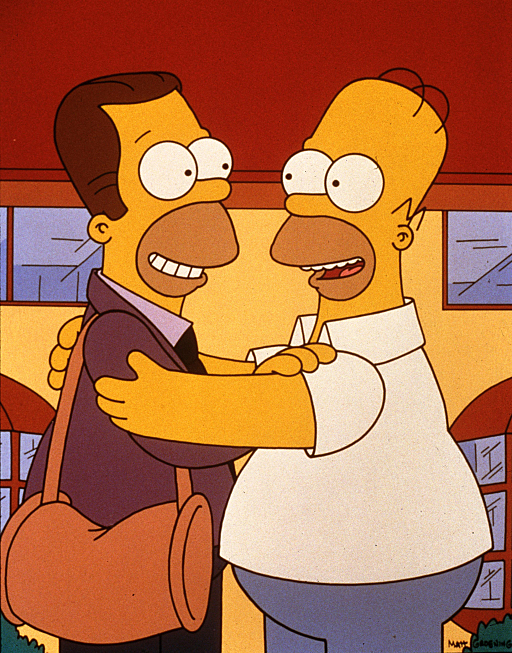 Homer's wish comes true when business is very slow, and Ned is facing financial ruin and the loss of his house. Homer goes through a change of heart, tells Ned to open the store one more time, and calls every left-handed person he knows to tell them about the Leftorium. They all come to the store the next morning and buy all kinds of left-handed items, and Ned's store is saved. Bart is hired to work in a Mafia bar run by Fat Tony (making his first appearance). Bart is late for work due to having been put in detention by Principal Skinner. Fat Tony announces that he and his men will "meet and greet" Skinner, and shortly after that, Skinner disappears. Both Bart and Fat Tony are accused of Skinner's murder, and at trial Fat Tony tries to pin the murder (and all of his other illegal activities) on Bart. Skinner then re-appears, telling the court that he had an accident at home and was trapped under a pile of newspapers for a week. The case is dismissed and Bart quits his job at Fat Tony's bar. Guest starring: Joe Mantegna, Phil Hartman and Neil Patrick Harris. At the nuclear power plant, Homer prevents a meltdown through sheer luck. He is hailed as a hero, but fears being found out as being only lucky rather than brave or clever. When the truth comes out, the phrase "to pull a Homer" becomes a widely used term meaning "to succeed despite idiocy," and Homer's picture ends up in the dictionary, illustrating the definition. Meanwhile, Bart's and Milhouse's friendship is strained when Milhouse's mother considers Bart to be a bad influence and wants her son to stay away from him. Guest starring: Jon Lovitz, Magic Johnson and Chick Hearn. Krusty the Clown has dinner with the Simpsons, and reveals that he is Jewish, his real name is Herschel Krustofsky, and he is estranged from his rabbi father. They parted ways over Krusty's becoming a clown instead of following his father and becoming a rabbi. Bart and Lisa see Krusty becoming depressed, and they take it upon themselves to reunite him with his father. 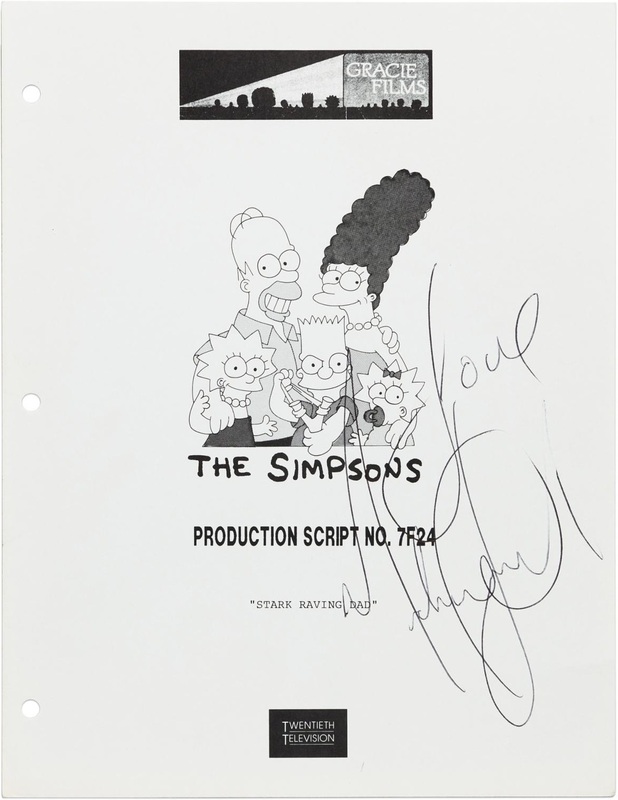 They find Rabbi Krustofsky, and after several attempts convince him to meet Krusty on the set of his show, where they reconcile their differences. Krusty introduces his father to the audience, and together they sing a song. 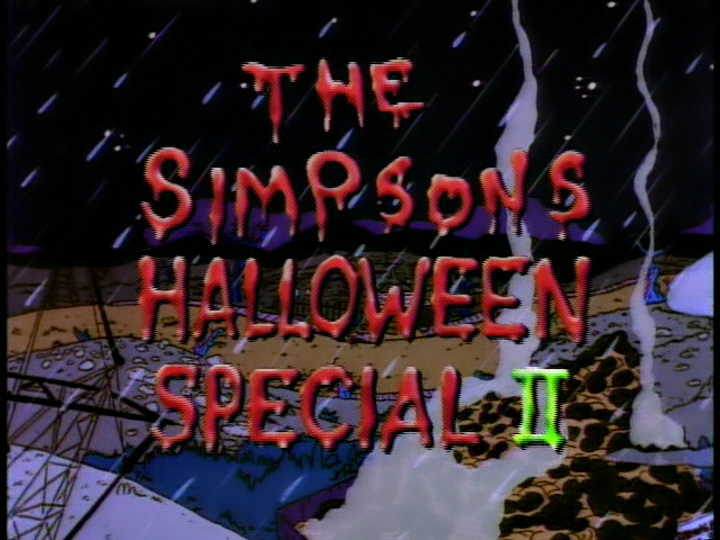 Opening: Marge warns viewers that this year's Halloween episode will be even scarier for young viewers than last year's was. However, because her warning about the previous Halloween special was ignored, she resigns herself to being ignored again. Prologue: Lisa, Bart, and Homer eat excessive amounts of candy, and Marge warns them that they will get nightmares from it. They ignore her warning, and each of the three has a nightmare. Lisa's Nightmare: The Simpsons buy a severed monkey paw from Morocco, which can grant a limited amount of wishes for a particular set of users depending on the number of fingers that are extended. Maggie, Bart, Lisa and Homer each make a wish from it, and most of the wishes result in unexpected consequences — Lisa's wish for world peace, for example, results in an alien invasion as Kang and Kodos exploit the opportunity to enslave a newly vulnerable Earth. Disgusted with the paw, Homer throws it away, then encourages Ned Flanders to try it out, hoping that Ned will have as much trouble as the Simpsons did. Homer ends up even more disgusted when Ned uses his first wish to get rid of the aliens (which results in Ned being hailed as a hero) and successfully uses his second to transform the Flanders home into a castle. 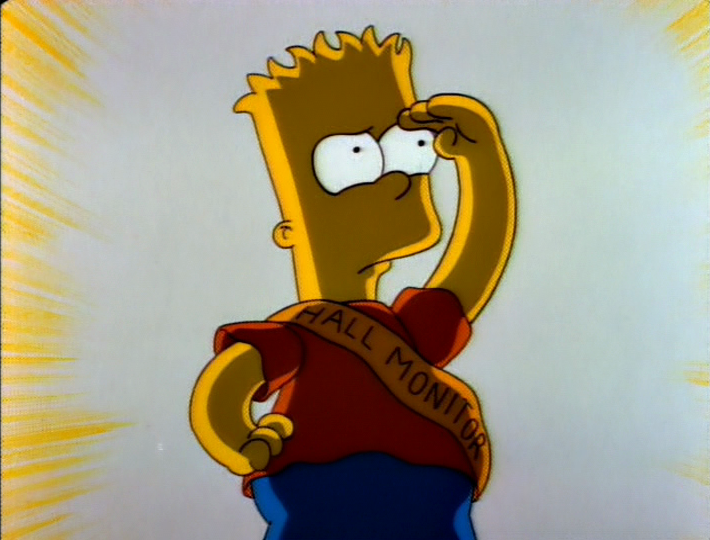 Bart's Nightmare: Bart has an ability to manipulate things with his mind. Everyone is compelled to constantly think happy thoughts, carry out his orders, agree with his opinions, etc., in order to prevent him from using his ability on them. Homer, however, manages to displease Bart, and Bart turns him into a Jack-in-the-box. Marge takes them to see Dr. Marvin Monroe, who suggests that they spend more time together. Taking this advice, Homer and Bart do a number of father-son activities and Bart, enjoying the time with Homer, agrees to change Homer back to normal. A grateful Homer gives Bart a fatherly kiss, and a horrified Bart wakes up from his nightmare screaming. Homer's Nightmare: In an effort to create the ultimate worker, Mr. Burns transplants Homer's brain into a robot. The plan backfires, however, when the robot inherits Homer's laziness and fondness for donuts. Displeased with the results, Burns puts Homer's brain back into his body, then kicks the robot in disgust. The robot falls and crushes Burns's body, and Burns orders Smithers to prepare to perform some surgery. Homer wakes up to find Burns's head grafted onto his shoulder, then tries again to wake himself up. However, as the closing credits begin to roll, the Simpsons' everyday activities continue and Homer still has Burns's head on his shoulder. When Burns has an appointment that conflicts with a spaghetti dinner that Homer was looking forward to, Homer says he hates having two heads. Homer loses much of Lisa's respect for him after he botches the task of getting her a saxophone reed she needs for a talent show. 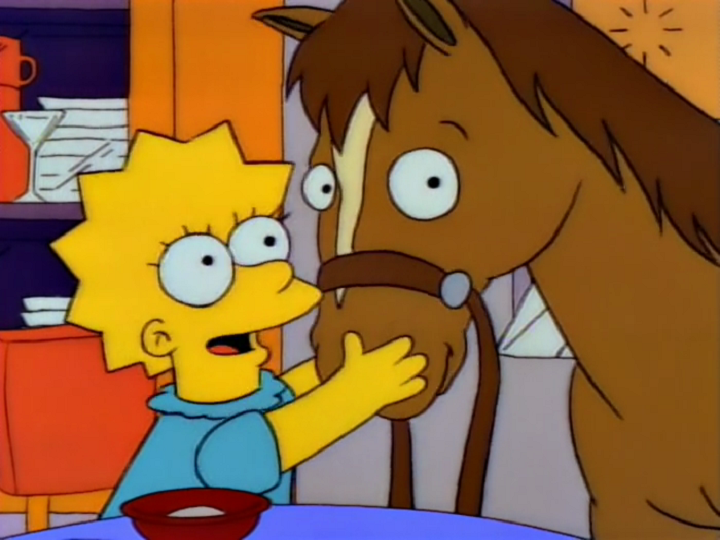 Homer realizes that he's been ignoring Lisa since she was a baby and thinks that's what's causing problems now, so he buys Lisa a pony to change her opinion of him. 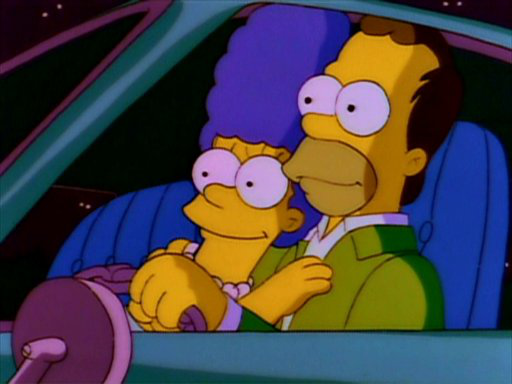 While Lisa loves the pony and now has more respect for Homer, he is required to take a second job (as a Kwik-E-Mart cashier on graveyard shift) to afford the upkeep on the pony. He becomes more and more tired from working two jobs, never getting enough sleep. Lisa has to decide whether to give up the pony or see her father constantly exhausted. 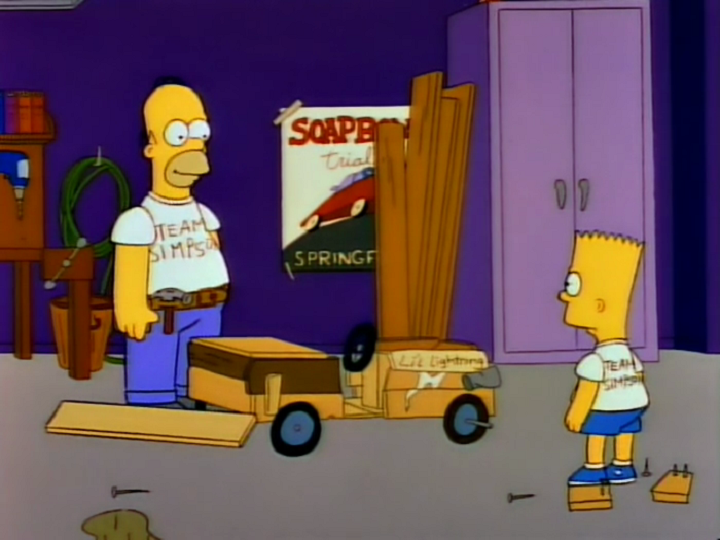 Trying to be a better father, Homer helps Bart build a soapbox racer. Bart's racer is a flop, but Martin Prince's is the fastest and wins the race. When Martin is hurt, he asks Bart to fill in as driver so that at least one of them can beat Nelson Muntz in the race. This angers Homer, as Bart won't be driving the racer that they built. Homer, however, does some thinking and realizes the experience has brought him closer to Bart and made him a better father, and Bart needs his support regardless of which racer he's driving. Homer goes to the race, wishes Bart luck, and he wins. Bart and Homer then celebrate the victory. Guest starring: Phil Hartman and Larry McKay. Homer tells Moe the story of how he created a drink by combining several liquids (including cough syrup) and setting it on fire, which he called the "Flaming Homer." 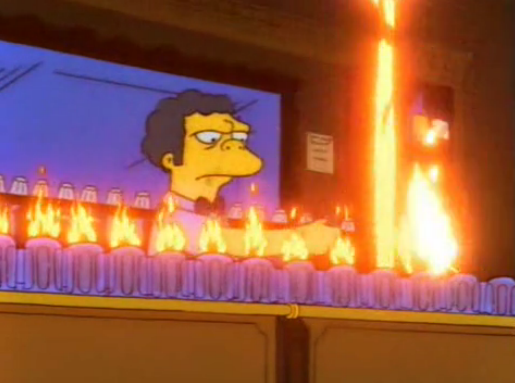 Moe serves the drink in his bar and quickly renames it the "Flaming Moe," insisting that he is the inventor rather than Homer. The beverage sells very well and Moe's Tavern becomes an overnight success, attracting much extra business, important patrons, and bands such as Aerosmith playing at the bar. Homer, however, is angry at Moe for taking all of the credit for the drink and vows revenge. Wishing to retire and pursue other interests, Mr. Burns sells the nuclear power plant to two German businessmen. The new owners evaluate the plant and its employees with the goal of making it more efficient and decide to lay off Homer. Meanwhile, Mr. Burns finds retirement to be unsatisfying. When he goes to Moe's, the bar's patrons treat him scornfully and Homer takes the opportunity to tell him off. The experience makes Burns realize that owning the plant gave him power over people and he misses that power. Burns then buys the plant back and re-hires Homer, to keep a closer eye on him. Marge is concerned that she may be pregnant again when a home pregnancy test gives inconclusive results. While she sees Dr. Hibbert, Homer tells the kids the story of Homer's and Marge's wedding, Bart's birth, and Homer's applying for a job at the Springfield Nuclear Power Plant. When Marge returns from the doctor and announces that she's not pregnant, she and Homer exchange high-fives. Bart celebrates his birthday and is disappointed with his presents, but later appreciates Homer's present to him (a microphone which can send voices over a radio) when he uses it to play pranks on people. 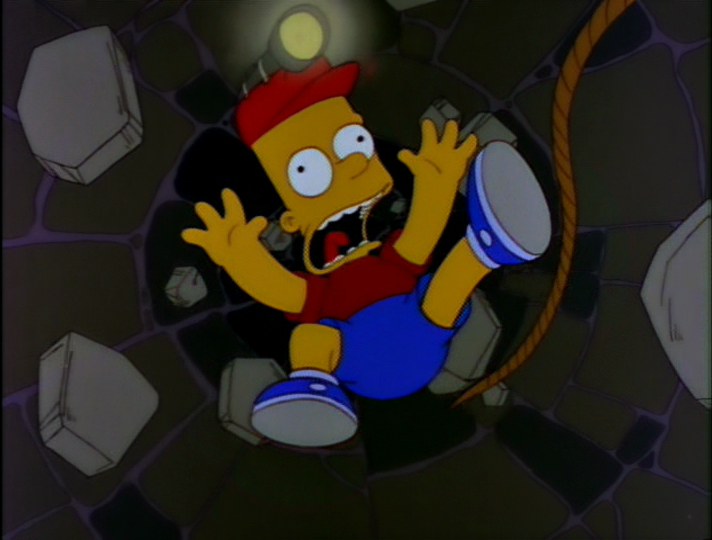 Bart deceives the whole town when he pretends to be an orphan boy named Timmy O'Toole trapped in a well. The prank backfires when Bart falls into the well for real and is forced to admit to the prank, and the townspeople are angry about having been fooled. When public officials refuse to do anything for Bart, Homer leads a citizens' effort to dig a tunnel to get Bart out of the well. Homer and Lisa begin to bond over watching football games on TV, and Homer discovers that Lisa has a skill for accurately predicting the winners. 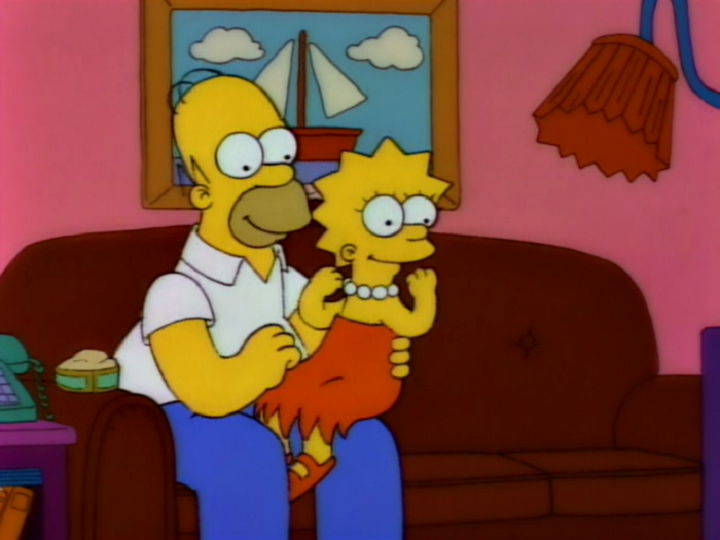 However, Homer takes advantage of Lisa's ability, placing and winning wagers on the games. When Homer selfishly chooses a bowling date with Barney over going with Lisa on a hike to Mt. Springfield, Lisa becomes angry at Homer for using her ability to help him gamble instead of wanting to spend time with her. Lisa then makes one last prediction, on the Super Bowl, and says that the outcome will determine whether or not she still loves Homer. Marge has been under a lot of stress at home and finally snaps, lashing out by causing a traffic jam on a bridge. She decides to take a vacation—by herself—to calm down and relax. 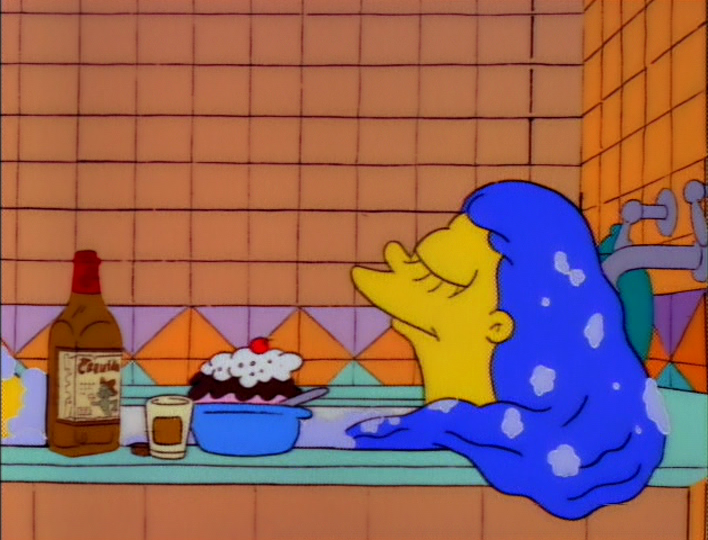 Bart and Lisa stay with Aunts Patty and Selma, while Homer stays home to take care of Maggie. Marge enjoys her vacation, but the family struggles in her absence: Homer loses Maggie, and Bart and Lisa dislike staying with their aunts. The police find Maggie just before Marge returns, and Homer and the kids eagerly welcome Marge home and promise to be more helpful around the house. While serving detention, Bart discovers that Mrs. Krabappel has placed a personal ad in the newspaper. For a prank, he answers her ad, creating an alter-ego for himself by using the first name of former President Woodrow Wilson, a photo of hockey player Gordie Howe, and his parents' old love letters. He carries on a long chain of romantic correspondence with Mrs. Krabappel, but later needs the family's help to end it without breaking her heart. Meanwhile, Ned Flanders is concerned that his son Todd has learned profanity by overhearing Homer, and convinces Homer to control his swearing. Springfield Nuclear Power Plant's softball team has an undefeated season, thanks in part to Homer's homemade yet efficient "Wonderbat" which has helped him become the team's leading hitter. Mr. Burns makes a million-dollar bet on the championship game, and then replaces the team members with Major League Baseball players to ensure a win. The employees are dismayed about being replaced, but various incidents keep all the major leaguers from playing (except for Darryl Strawberry, who takes Homer's spot). Homer ends up winning the game by pinch-hitting for Strawberry and being hit by a pitch. Guest starring: Wade Boggs, José Canseco, Roger Clemens, Ken Griffey, Jr, Don Mattingly, Steve Sax, Mike Scioscia, Ozzie Smith, Darryl Strawberry and Terry Cashman. The students of Springfield Elementary School take an aptitude exam to see what careers would best suit them. Bart's results indicate that he would be a good police officer, and Lisa's indicate "homemaker." Bart improves his discipline and performance and becomes a hall monitor, while Lisa loses her motivation and becomes a troublemaker. When Lisa steals the teachers' answer keys and is about to be caught, Bart takes the blame and returns to his bad boy role, and Lisa returns to being an overachiever. 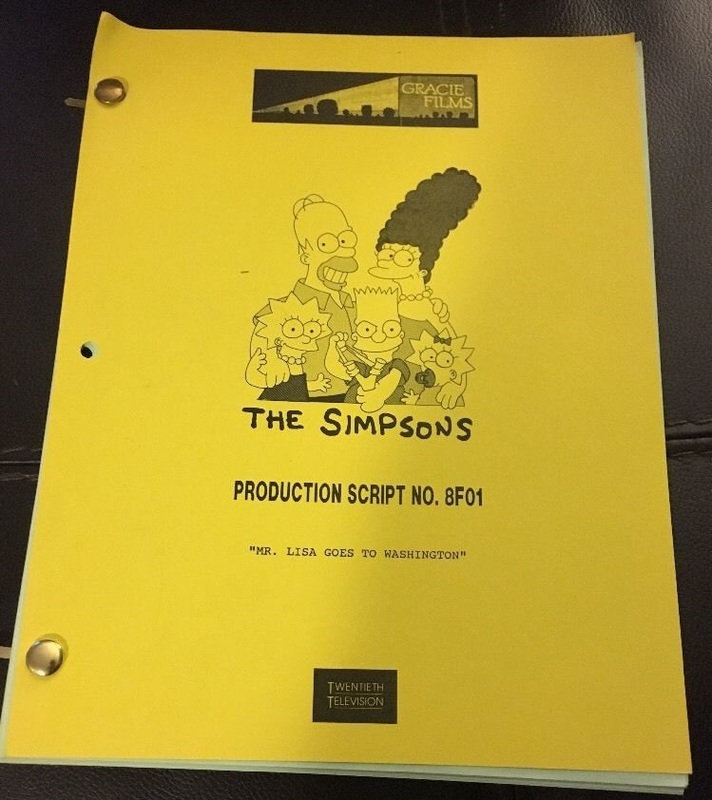 Santa's Little Helper becomes severely ill and needs an expensive operation to survive, and the Simpsons are forced to make budget cuts to afford it. The operation is a success, but the family comes to resent the sacrfices they had to make. When they take it out on Santa's Little Helper, he runs away and ends up becoming one of Mr. Burns' hounds. Bart then goes to the Burns Manor to get Santa's Little Helper back, and is attacked by Santa's Little Helper and the other hounds. In the end, however, Santa's Little Helper remembers the good times he had with the Simpsons and returns home with Bart. Homer meets a barmaid named Lurleen Lumpkin, who turns out to be a talented singer and songwriter. Homer becomes her manager to help her launch her career in country music, but is unaware that she has fallen in love with him. Marge, however, is aware of Lurleen's attraction to Homer and suspects that the two of them are having an affair. When Lurleen makes a blatant pass at Homer, he finally realizes how Lurleen feels and must choose between Lurleen and Marge. Homer chooses Marge, and Lurleen writes a song where she says that Homer's quite a man, and she hopes that Marge knows how lucky she is. Aunt Selma has a new boyfriend—Sideshow Bob, who has just been released from prison. The two of them get married, but Bart remains suspicious of Bob, due to Bob's criminal past of robbing the Kwik-E-Mart and attempting to frame Krusty for it. Bart's suspicions are proven correct when he discovers that Bob is planning to kill Selma by means of a gas explosion during their honeymoon. Bart is able to stop the plan, saving Selma's life and resulting in Sideshow Bob being arrested and sent back to prison. Otto wrecks the school bus and is fired when it's discovered that he never had a driver's license. Otto is unable to get his license or find another job, and the Simpsons (at Bart's urging) take Otto in until he can get back on his feet. The family and Otto get on each other's nerves. When Otto retakes the license test, he draws Aunt Patty as an examiner, and she eagerly passes Otto (to the point of helping him cheat) when he says he wants to get his license to staple it onto Homer's bald head. Otto gets his license (albeit under probationary status), and then gets his job back. Guest starring: Michael McKean and Christopher Guest. Milhouse falls in love with Samantha Stankey, a new student at Springfield Elementary, and the two of them begin dating, which puts a strain on Milhouse's and Bart's friendship. Bart tries to break the couple up and succeeds when he tells Samantha's father about their relationship. Mr. Stankey then has Samantha transferred to an all-girls convent school. When Milhouse learns what happened, he and Bart have a fight, but make up when they visit Samantha's new school and Milhouse has a chance to kiss her good-bye. Meanwhile, Homer gets subliminal weight-loss tapes which turn out to be vocabulary-builder tapes. When Homer listens to them and gains weight, he uses his enhanced vocabulary to fluently dismiss the tapes as useless and throws them away. Guest starring: Kimmy Robertson and Phil Hartman. A company physical exam reveals that radiation from the nuclear plant has made Homer sterile, and Mr. Burns awards Homer $2,000 in an attempt to keep him from suing. Meanwhile, Homer's half-brother Herb Powell has been living as a bum since the loss of his car company, Powell Motors, after Homer's designing an unsaleable car proved to be the company's undoing. Herb gets an idea for a baby translator, which could make him rich again. Herb is still bitter at Homer, but when he learns of Homer's award he goes to the Simpsons and asks for help. Homer reluctantly lets Herb have the money, Herb develops the translator, and it proves to be a runaway success. Now rich again, Herb pays Homer back the $2,000, gives gifts to the family, and reconciles with Homer, forgiving him and saying that Homer can call him "brother" again. Season 3 was released on DVD in its entirety as The Complete Third Season on August 26, 2003 in Region 1, October 6, 2003 in Region 2 and October 22, 2003 in Region 4 by 20th Century Fox. 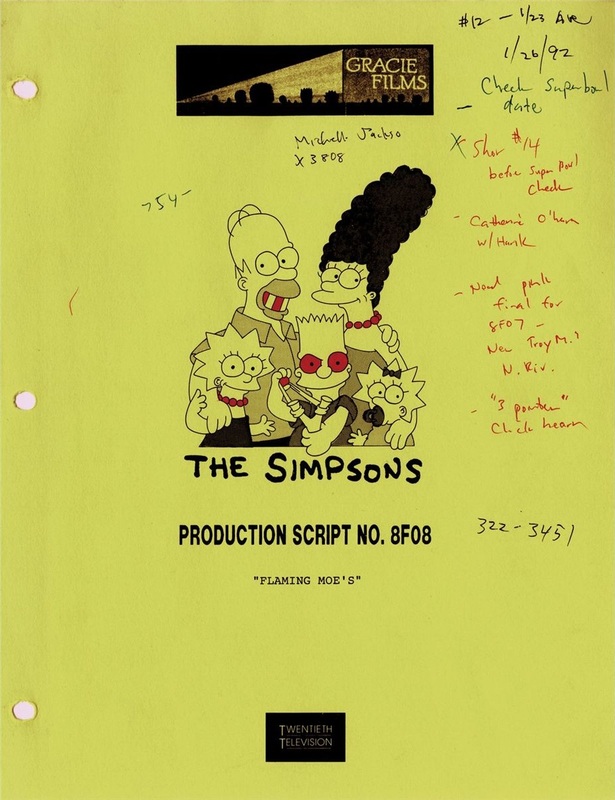 While primarily containing the original 24 episodes, the boxset also includes bonus features such as storyboards. 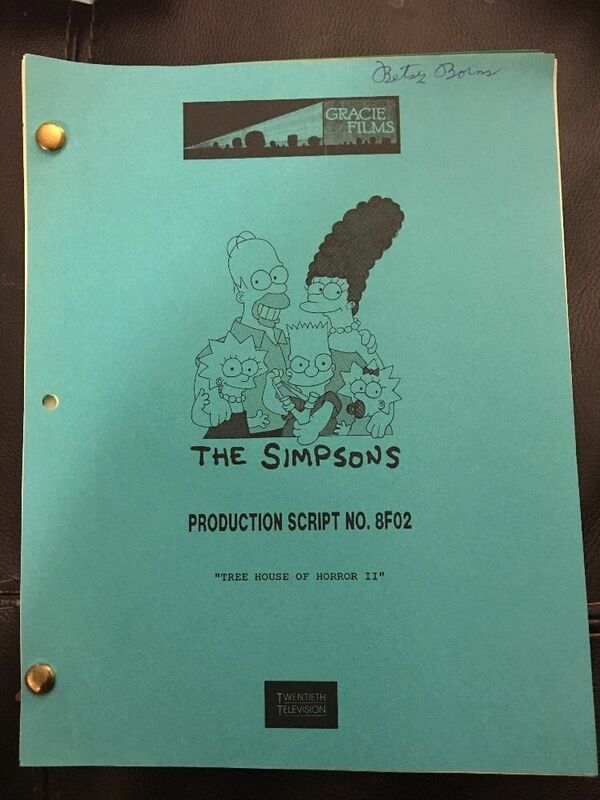 Trivia tracks for "Colonel Homer"
Nancy Cartwright as Bart Simpson in "Separate Vocations"
Dan Castellaneta as Homer Simpson in "Lisa's Pony"
Julie Kavner as Marge Simpson in "I Married Marge"
Jackie Mason as Rabbi Hyman Krustofsky in "Like Father, Like Clown"
Yeardley Smith as Lisa Simpson in "Lisa the Greek"
Marcia Wallace as Edna Krabappel in "Bart the Lover"
The show received one other Emmy nomination for Season 3: "Outstanding Animated Program" for "Radio Bart." Michael Jackson and Kipp Lennon guest-starred in "Stark Raving Dad." Jackson appeared under the pseudonym of "John Jay Smith" and voiced his character's speaking parts, while Lennon performed all of the singing. Jackson also wrote the song "Happy Birthday, Lisa." 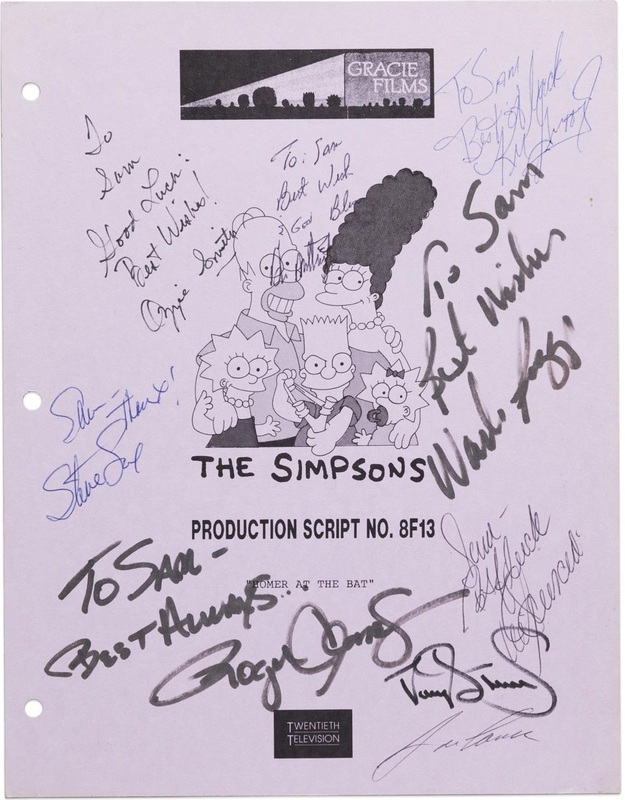 After the episode was produced, the show instituted a policy that celebrities wishing to guest-star on the show had to be willing to be credited under their real names rather than using pseudonyms. ↑ Jean, Al & Reiss, Mike. (2003). 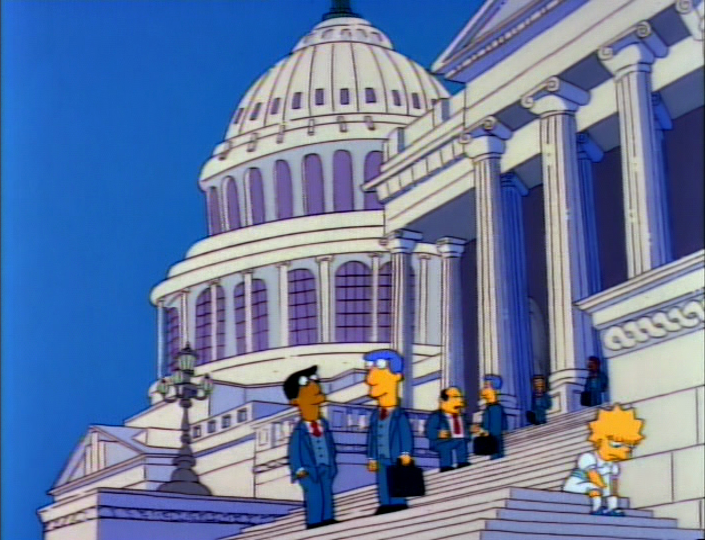 Commentary for "Mr. Lisa Goes to Washington", in The Simpsons: The Complete Third Season [DVD]. 20th Century Fox. ↑ Lynch, Jeffrey. (2003). 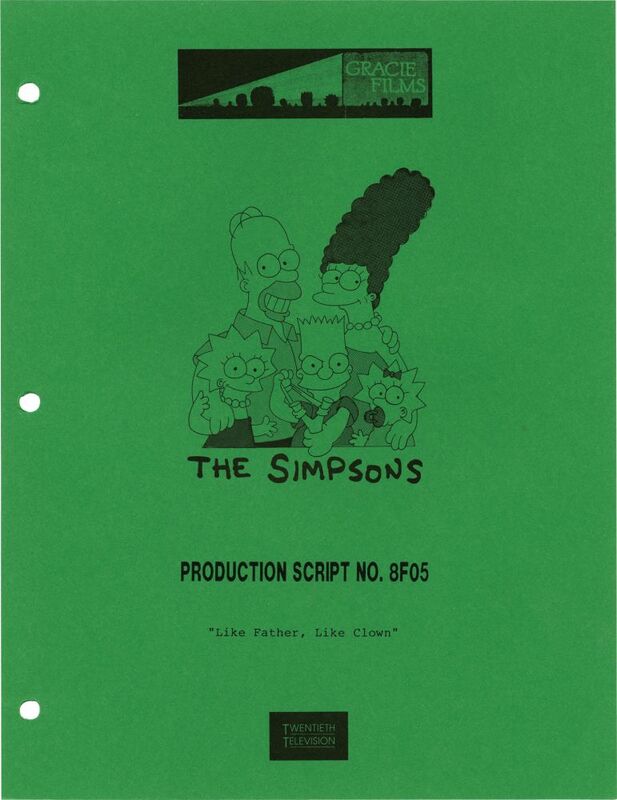 Commentary for "Like Father, Like Clown", in The Simpsons: The Complete Third Season [DVD]. 20th Century Fox. ↑ Oakley, Bill & Weinstein, Josh. (2006). Easter egg Commentary for "Lisa the Simpson", in The Simpsons: The Complete Third Season [DVD]. 20th Century Fox. ↑ Brooks, James L. (2004). "Bush vs. Simpsons", in The Simpsons: The Complete Fourth Season [DVD]. 20th Century Fox. ↑ John Ortved. 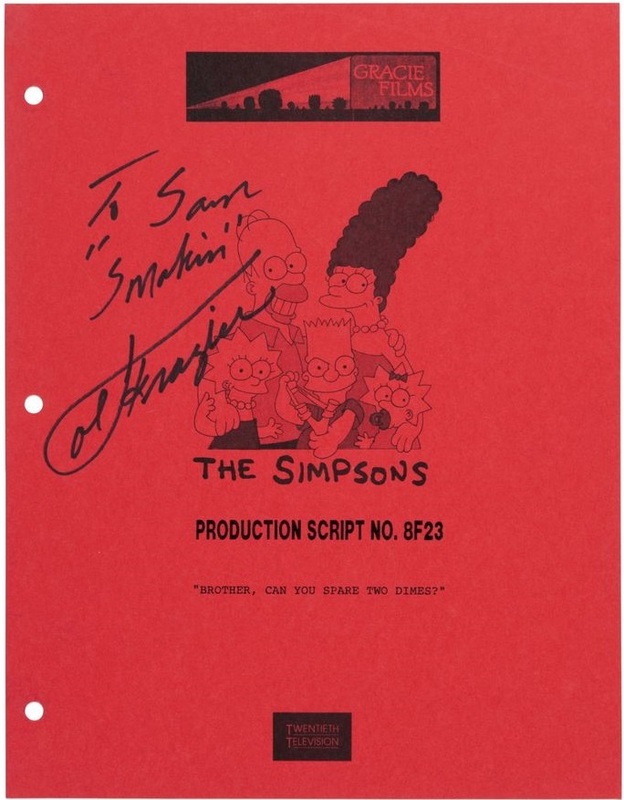 "Simpson Family Values", 'Vanity Fair',. Retrieved on 2008-08-26. ↑ Jean, Al. 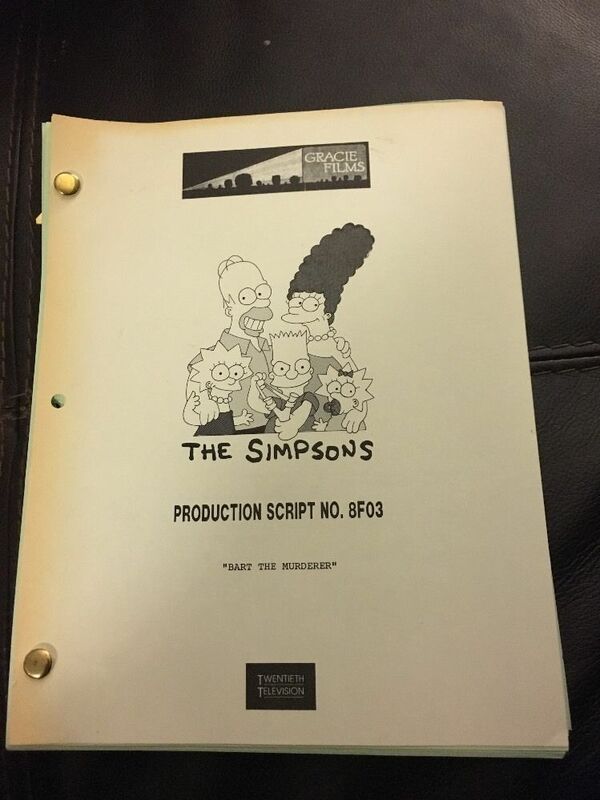 The Simpsons season 3 DVD commentary for the episode "Homer at the Bat" [DVD]. 20th Century Fox. ↑ Reiss, Mike. The Simpsons season 3 DVD commentary for the episode "Homer at the Bat" [DVD]. 20th Century Fox. ↑ Reiss, Mike. (2003). Commentary for "Homer Defined", in The Simpsons: The Complete Third Season [DVD]. 20th Century Fox. Modified on June 8, 2017, at 23:58.